Despite all of the UI toolkits available today, it's still not easy to design good application interfaces. This bestselling book is one of the few reliable sources to help you navigate through the maze of design options. 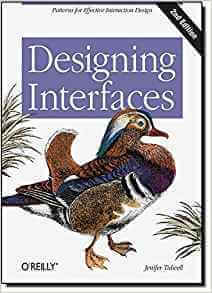 By capturing UI best practices and reusable ideas as design patterns, Designing Interfaces provides solutions to common design problems that you can tailor to the situation at hand.